Outlook Email to PDF Converter enables you to convert all emails of your Outlook Email into different PDF documents. It will create a new PDF for each email of Outlook Email file. You can change the name of the PDF but by default the PDF will named as a subject of email. Outlook Email to PDF Converter enables you to scan your corrupted Outlook Email file before loading its contents. Quick Scan will run automatically for minimum corruption. 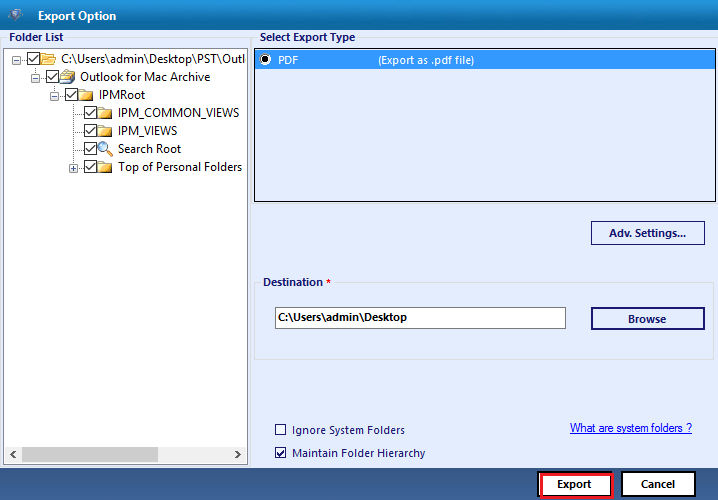 However, you can select Advance Scan option for severely corrupted Outlook Email files. Outlook Email to PDF converter shows a preview of all items with their associated properties like: From, to, size of email, subject of email, phone number, address etc. The software enables you to sort and rearrange these items according to their associated properties. The software enables you to perform batch conversion, you can ADD multiple Outlook Email files one by one and then Export them all together. You can select all folders or a particular folder of a Outlook Email file according to your need. It enables you to perform batch conversion or export selective items. The Advance setting option enables you to select the Top, Bottom, Left and Right margin of the PDF. In addition, there is an option to Include MIME content, select paper orientation and paper size. For example you can choose the Landscape or portrait mode. While converting Outlook Email to PDF, you can select the Naming Convention option for emails and save PDF file according to Subject, DD-MM-YY, YY-DD-MM, MM-DD-YY, Date+Subject, Subject+Date, From+Subject+Date, Date+From+Subject, Date+Subject+From, Auto increment, etc. The software supports both ANSI and UNICODE Outlook Email files. Hence, there is no size limitation to Convert Outlook Email to PDF. You can select Outlook Email file of any size and the software will convert that Outlook file into a searchable PDF file. Outlook Email to PDF converter generates a preview of all items present in a Outlook Email file. All the folders follow the same hierarchy of Outlook Email file. The generated PDF will also follow the same hierarchy until or unless you will not rearrange the folders. In present time, security is an important factor for all kind of businesses. PDF has an ability to put password on a document and makes the document more secure for sharing information over a network; internet or intranet .You can set a password to protect the PDF files from unauthorized printing, copying, editing, etc. There are two types of PDF password- Owner level password and user level password. Owner Level Password: You can set Owner level Password to restrict other people for printing, editing and copying your document. User Level Password: User level password can be used to prevent people from viewing or opening your PDF file. No one can open your PDF without putting the correct password. So you can convert your precious Outlook emails or attachments as a PDF for making them more secure. 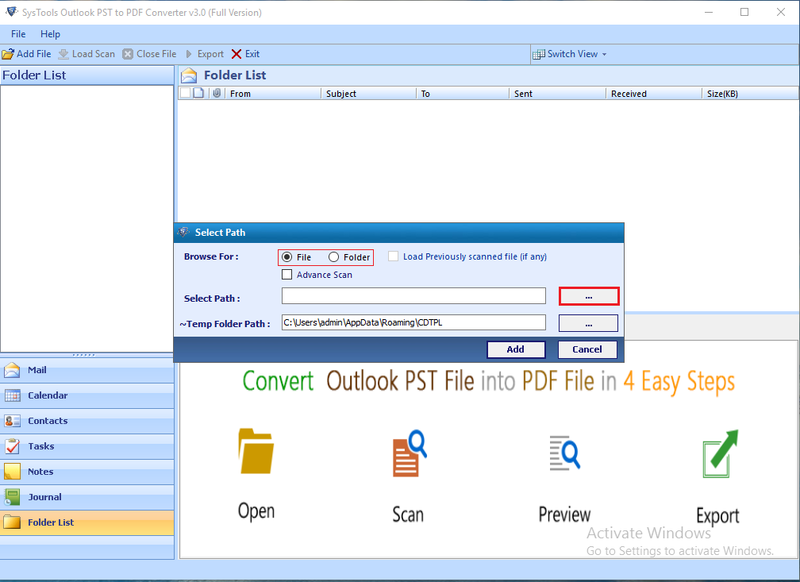 If someone lost the Outlook setup and unable to access the Outlook data due to corruption then Outlook Email to PDF Converter is a solution to convert Outlook Email to PDF. It allows the user to convert his/her Outlook Email file as a PDF, even if the Outlook Email file is corrupted. You can convert your Outlook Email file to PDF if there is a requirement to present your Outlook Emails or associated attachments as a legal document. 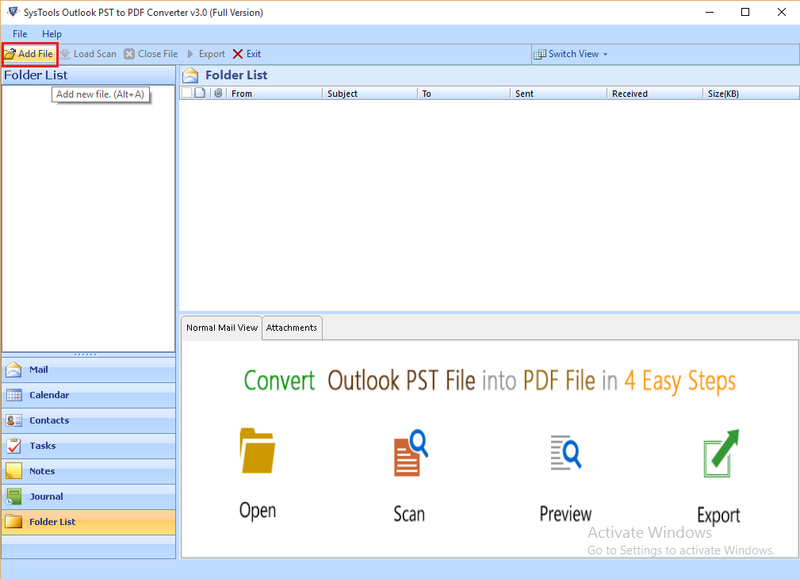 Why Outlook Email to PDF Converter? 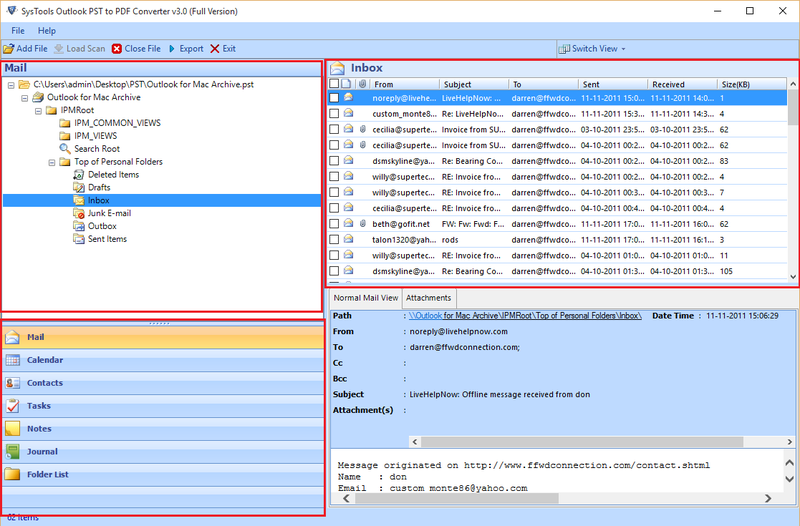 Add multiple Outlook Email files and Scan all files for corruption. Provide an Advance Scan option to repair severely corrupted Outlook files. MS Outlook installation is not required for conversion from Outlook Email to PDF. All the features of the Outlook Email to PDF converter make its trustworthy and reliable product to convert Outlook Email to PDF. I am really thankful to Outlook Converter for converting my all emails into PDF. It was really a great experience with software which converted emails easier than my thought. Now I can easily read emails as PDF according to date. What are the system requirements for Outlook Email to PDF converter? The software supports Windows 8.1 and all below versions.1 GHz Processor, 512 MB of RAM and 20 MB of free Hard Disk space is required to run the Software. Can I convert my 30 GB of Outlook PST file to PDF? Yes, you can convert any size of Outlook file to a PDF document. My Outlook Email file is corrupted; it is possible to convert my corrupted Outlook file to PDF? Yes, by using this software you can convert your corrupted Outlook Email file to PDF. Quick scan will automatically run for minimum corrupted Outlook Email files. However, you can select Advance Scan option for severely corrupted Outlook Email files. I want to change the name of PDF, Is it possible to rename the PDF after conversion? Yes, you can rename your PDF document after conversion. I am thankful to the developer of the software. I want to convert my important Outlook emails to PDF. By using Outlook Email to PDF converter I have converted all my emails to PDF very easily and instantly. This is a reliable tool; I have used it to convert my corrupted Outlook Email file to PDF. The best part of the software is scan option for inaccessible Outlook Email files.